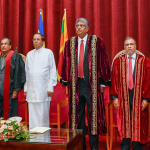 Senior professor Sunil Ariyaratne temporarily parted from his services rendered to University of Sri Jayewardenepura, after fulfilling his duties to enrich the university with his aesthetic sensation. This is a special note of appreciation written on behalf of Senior Professor Sunil Ariyaratne, of the Department of Sinhala and Mass communication, who rendered a priceless service to the University of Sri Jayewardenepura. Senior professor Sunil Ariyaratne lived his life and continues being, a researcher, poet, lyricist and a film director. He became a favourite of all of us because he shared his amazing talent not only with his students but with the rest of the world in a wonderful manner. This gifted person was born on the 28th of July 1949 in Nugegoda and started schooling at St. Jones Nugegoda. Foretelling the emergence of an aesthetically affluent person, he opens up his creativity when he was 12 years old by publishing a collection of short stories called Ähinsakayo” in 1961. 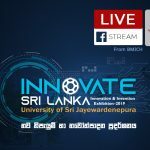 There are also a number of other writings of Professor Sunil Ariyaratne, namely, “Api Okkoma” a poetry collection in 1963, “Alakeshwara” a historical novel in 1964, and “Siyothunta Rekawal” a poetic tale in 1965. His interest for drama runs to his childhood. He contributed to a play named “Amal Biso”, in his writing when he was 11 years old. He had joined his neighbours and peers in producing plays as well. He wrote a script for Kumaratunga Munidasa’s “Magul Kema” while still being a student at St. Jones College. 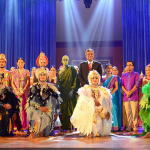 He also produced the play “Deyyo” written by his elder brother Thilakaratne Kuruwita Bandara, also while being a student. 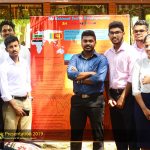 Young Sunil, realizes his dream of higher education by entering University of Sri Jayewardenepura, which was known to be Vidyodaya during his student hood. 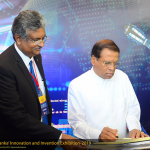 He graduated obtaining a Sinhala honours degree with a first class in 1971. While he was an undergraduate in the university, Sunil wrote a novel “Jeewithaya Geethayak Wewa” in 1969. Also in 1971, along with Buddadasa Galappaththi and Jayalath Manoratne, he published a poetry book, “Dolosmahe Pahana”. Sunil Ariyaratne started his lecturing as a temporary lecturer at University of Kelaniya in 1972, and went to the University of Jaffna after serving as a Part time lecturer at The Department of Aesthetics studies at the University of Kelaniya for a period of 1 year from 1975-1976. 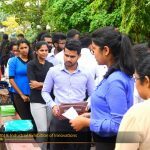 After working there for 3 years, Ariyaratne joins University of Kelaniya once again as a permanent Assistant lecturer. 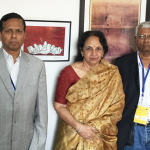 While working there until 1985, he managed to join the academic staff at the University of Sri Jayewardenepura. Being in the academic staff at the same university from which he graduated became a dream coming true and it became the wish of his destiny as well. About 5 years later, he got promoted as an Assistant Professor and became a professor in 1994, and reached the zenith of his university life by being promoted as a Senior Professor in 2000. He was the youngest Professor in the university system at the time. He was known to us as a lecturer, yet the rest of the world got to know him as a lyricist. “Pahan Kanda” (1983), “Yathra” (1984), “Pembara lanka (1990), madhu Badun (1994), Adaheraya (2004), Shwetha Rathriya (2012) are some wonderful creations of him. Not only his lyrics, even his researches carry us to a new world of thoughts. Some of his research topics were so unique and timely which made him win a number of national awards for them. A reaserch on Baila Kapirigngna (1985), Grammar phone music (1986), Kerol Pasam Kantharu (1987) are some of his musical reasearches, while Mahinda Prabanda (1987), Manawasinghe Geetha prabanda (1991), Purana Sinhala Nadagam Copy editing (1996), Gandarwa Apadana (1997) Sinhala Chithrapati geethawali (2008, 2009) are some of professor Sunil Ariyaratne’s researches. In 1989 he travelled to madras and studied Tamil and as a result in 1991 he wrote a thesis named “Demala Sahithya Ithihasaya”. සිතුවම් සහිත දෙමළ ජනකතා පරිවර්තනය, (1994) දෙමළ රාමායණය පරිවර්තනය (1994), Tamil Sinhala Alphabet (1995), Writing Tamil Letters, 1000 Tamil idioms, Tamil Buddhists (2006). 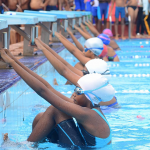 Professor Aryaratne won a number of national awards for these as well. Another talent he had was Filming. “Dushkara kriya”(1976) an Boathwaru were sone other short films and he had given rise to about twenty other films by this time. The directing of films that began from “Anupama” in 1978 continued entertaining people with “Siri bo Iya” “Baba ketu hati” “Kele mal”, ‘Kristhu Charithaya” “Sudu Sewanali”, ‘uthpalawanna’and ‘Kusa paba’, he will never retire from filming because it seems to be in his genes. 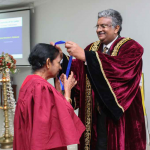 Senior professor Sunil Ariyarathne had won a number of honorary awards which proves him to be the best among the best. Wishwa Prasadini Award, Vidyodaya Vibhushana Honorary name, Sahithya Kala Shiromani Honorary award, Kamban Award, are some such awards that he won. Writing the story of the University of Sri Jayewardenepura made you unburden your debt to your university . 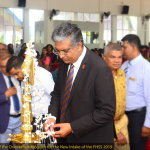 Also by installing a bronz statue of Panditha Shiromani Welivitiye Sri Soratha Thero, our first Vice chancellor, you undoubtedly did your job tp the university. You are in fact a son who had done your part to the university to which you belong. May you live long Senior Professor Sunil Ariyaratne!